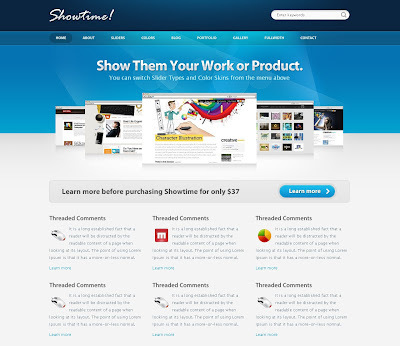 Showtime v3.0 is a powerful WordPress theme made for your Business, Portfolio or almost any other kind of website. Showtime offers you a good amount of options. Front Page can be customized via unlimited widget areas, both body and footer. Sliders and Colors can be easily switched via my custom built FreshPanel. If you like these post, drop your feedback in the comment box. Thanks!